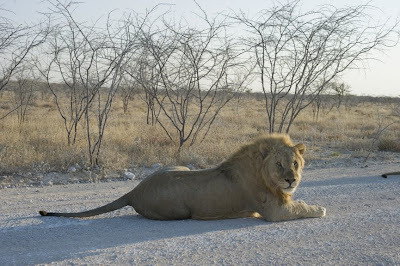 We saw these beautiful lions driving down the road the other day while in Etosha National Park in northern Namibia. 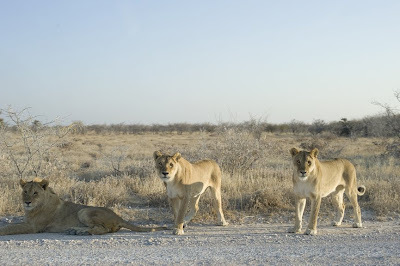 After having watched them for over half an hour we drove right past them. They were literally 7 feet from the passenger side window where I was sitting. Needless to say the windows were up but I was still quite scared though it was extremely exhilarating.